After having several disappointing experiences with really cheap balaclavas, I purchased the N-Ferno 6823 for my upcoming annual ski trip. All my research indicated that it was a great value and would serve me well on the slopes. It appealed to me because of the neck coverage and the breathable mesh on the mouth portion. In the past, I've had trouble with my ski masks providing appropriate coverage and also have run into issues with breathability. Other products I've used have been difficult to breathe through and would cause a lot of moisture build up at the mouth and nose. This would inevitably freeze and become extremely cold and uncomfortable. So how did the Ergodyne N-Ferno 6823 do? 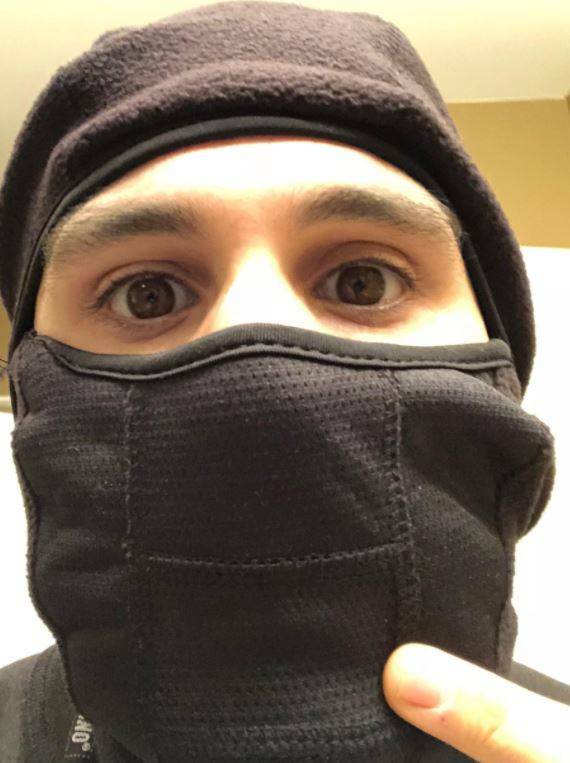 For the price I paid for this balaclava, I would rate it a 8/10 all around. I wanted a ski mask that would keep me warm and not have excess moisture build up around the mouth. The N-Ferno did extremely well on both these fronts. This is a close up of me with the balaclava. I'm pointing to the mesh mouth, which does a good job of keeping the moisture build up to a minimum. As you can see, it's a different texture than the rest of the mask. The head covering and mask were both the right amount of thickness for warmth without being bulky. 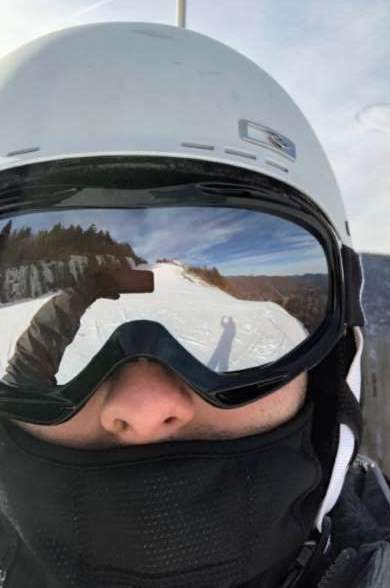 I was able to fit my ski helmet over it with no issues. The whole thing stretched nicely to fit my head, and I found the fleece material to be quite nice on the skin. The reason why I didn't give it a 10/10 was because there was still some moisture build up. It wasn't anything compared to other ski masks that aren't porous around the mouth, but it wasn't completely dry either. At the end of the day, the little bit of moisture from breathing didn't really bother me nor did it get super cold, so it was far from a deal breaker. Thus far, I've skiied in temperatures that were around 24-25 degrees. In those temperatures, I was completely fine, and probably a bit too warm when combined it with my ski helmet. I found myself pulling it down below my face just so that I could get a little bit of extra cool air. I've seen reports of other users using it in temperatures close to or below zero and being happy. However, if it were me, I might want to try one with a heat exchanger. The mesh and the fleece are both made of 100% polyester. Polyester absorbs much less moisture than cotton and is typically a big portion of what most moisture wicking clothes are made out of. When you pour water on it, the water pretty much pools up and slides off; very little is absorbed. After skiing pretty hard for a few hours, I didn't notice much sweat build up on the product. This indicates that it did a good job of getting the moisture away from my head. Is It One or Two Pieces? This balaclava is one piece. The face mask portion is a bit of a separate entity, but it's still attached. However, if you don't want to wear the face portion because it gets too warm, it's easy to pull down onto your chin. Can You Hear Things Around You? When I was wearing only the balaclava, my hearing was impaired only slightly. It was blocking out some sound, but not enough to make it significant. However, if you're going to combine it with a ski or snowboard helmet, then some sound will be blocked out. Can it Be Worn with a Ski Helmet and Goggles? Absolutely. This is how I wore it. It didn't interfere with putting on either of them. Will it Fog Up Your Goggles? This only happened when I was on the lift or I was standing still. 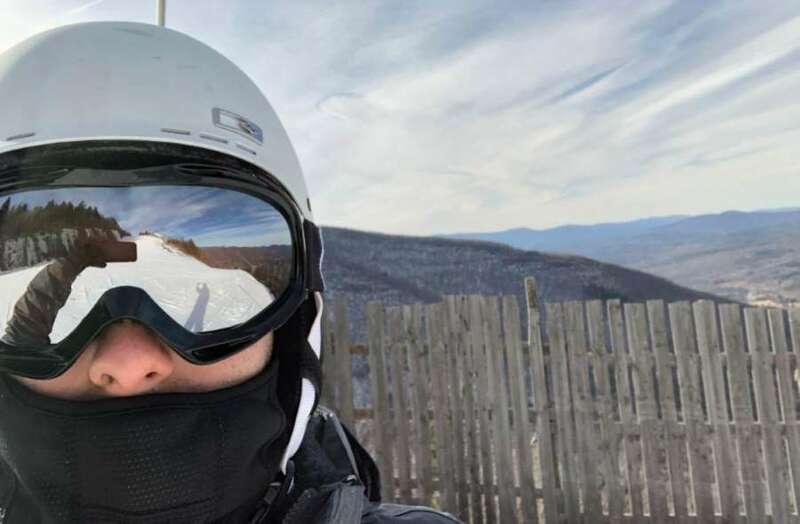 When I was skiing, the vents from my goggles were able to take in enough air to get rid of any fogging. Untucking the material from the goggles stopped any fog from building up. I only had to do this slightly if I didn't want fog on the lifts, and it didn't make me any colder. Either way, I don't think you'll have to worry about fogging. Is It Good for a Motorcycle Under the Helmet? Being that it fit under my ski helmet, I would think that it would work just fine under a motorcycle helmet as well. The label says that you simply need to machine wash with cold water on a gentle cycle, but I'll probably just throw mine in with the regular wash. It is important to note that the label also states that washing it will remove the flame retardant treatment on the mask. What If You Have a Runny Nose? If you have a runny nose, it would certainly be inconvenient to have this covering your face. You'd certainly feel whatever was coming out of your nose on the material. In such an event, I would recommend pulling the nose portion down or pulling the entire mask below your face. It does not contain wool; it is 100% polyester. Does it Fit Big and Small Heads? I have a larger than average head, and it fit me fine without being tight. My ski helmets and hockey helmets have always been large or even XL. The N-ferno was perfectly comfortable for me. It's made as a one-size fits all, so unless you're really above or below average, you should be fine. Does it Feel Scratchy or Smooth? It feels really smooth all around; it feels just like fleece (because it is fleece). Many people's gripe with fleece is that it is a little bit too smooth. I would say the same thing. Fleece isn't something I'd want to have on my skin all the time; it's not as comfortable as cotton, but it is certainly not scratchy by any stretch of the imagination. Can You Run in This Without Overheating? I would imagine that it depends how cold it is. If you're doing a really heavy cardio activity, I would imagine that breathing through the mesh would make it much more difficult. The nice thing is that it's easy to roll down the face portion. If you put it around your chin, I think this would be an excellent mask for running in the cold. Can You Smoke With It On? You can't smoke through the mesh, but you can roll down the face mask portion. The packaging or product doesn't say that it is fire-proof or fire resistant anywhere. I checked the manufacturer's website and didn't even see any indication of it there. However, it is indicated on the tag that washing it will remove the flame retardant. This leads me to believe that there is some level of fire-resistance with this product. But, I haven't tested it, so I can't say for sure. As far as I could tell, neither the packaging nor the manufacturer's website listed anything about a warranty, so I'm going to assume that it doesn't have one. If you're planning a ski trip and need a reliable and inexpensive balaclava, I truly think this is the way to go. It would also be great for working outside and pretty much anything in the cold. Click here to check out the N-Ferno 6823 on Amazon. ...Or if you're in the process of planning a ski trip, check out my Complete Guide to Staying Warm on the Slopes.